Finish your trip to Walden. As you work your way through reading the text, record thoughtful responses. The last lines of Walden: "Only that day dawns to which we are awake. There is more day to dawn. The sun is but a morning star." Explanation? Every morning a new day dawns, the sun comes up--but you don't see that dawn, or experience that light, unless you are out of bed and awake to see it. In the same way, there are many opportunities to become an enlightened person, to "see the light" of truth, to grow in learning and wisdom -- but we will receive that "light" only to the extent that we are awake to it, that is, open to receiving it, ready to hear or see. Transcendentalism tells us that. For instance, in "Self-Reliance" Emerson wrote that "A man should learn to detect and watch that gleam of light which flashes across his mind from within, more than the lustre of the firmament of bards and sages." In that line, he is saying that we must trust our own thoughts, we must see and hear our own wisdom. We should not dismiss our own thoughts and replace them with the words of poets and people that society calls wise. The "luster of the firmament" would be like the reference in your quote to "the light which puts out our eyes." That light, the wisdom offered by the words of others, can be so bright that it blinds us -- and here I think he is saying that if we take someone else's words IN PLACE OF our own thoughts and in-ward knowing, we will not be able to be enlightened, but will suffer a different kind of darkness. It takes more than "the mere lapse of time" to bring us enlightenment. It takes our own attendance to the matter; it takes trusting our inward thoughts and experiences. Remember the Passion with Purpose theme from Friday? Find your ACT practice passage about The Simpsons! Use THIS Literary Devices Site for research. Not all of the aphorisms will be found there! Never rely on just one source! Type the aphorism into the Search box. Return to lit book pg. 363--Published in 1841, "Self-Reliance" is an essay that urges readers to trust their own intuition and common sense rather than automatically following popular opinion and conforming to the will of the majority. Read and study the passage from "Self-Reliance" following these steps. 1. Open the AUDIO VERSION HERE (just 4 1/2 minutes). 2. Follow along on THESE Hard Copies as you listen--MORE THAN ONCE! Sorry about the quality. It's the best our copier could do. If you zoom in, it's a lot better! I included 2 copies of the essay. DO look at both, as there are good margin notes and comments on BOTH copies! 1. Trust your own inner voice! 2. Avoid consistency as an end in itself: Being too consistent and blindly following someone else's ideas is not always wise. An idea or regimen to which you stubbornly cling can become outmoded tomorrow. ​Is Emerson's work relevant today? The answer, I believe, is resounding YES! Emerson's observations of his own society and of the individual's place in it still hold true today, more than one hundred years after his death. Throughout his work, Emerson emphasizes the value of and encourages the development of individuality, a celebration of both the mind and the spirit which, as the world grows more complex, is as applicable today as it was during Emerson's day.. "Nothing is at last sacred but the integrity of your own mind," he writes in Self-Reliance . If you’ve ever done any serious weight training you know that your muscles won’t grow if you keep on doing the same thing. They will max out! As in the gym, so it is in life. If you don’t stretch yourself, if you don’t get out of your comfort zone and do what you haven’t done before (whether that's in academics, athletics, activities, volunteerism, travel) you will never grow. So commit to raise the bar today, stretch your horizons, and you will stretch your life! 2. View this Student Project, which other than the pronunciation of Socrates, does a nice job of summarizing the piece. DEAR--10 people gone, so we READ!! 1. "The mass of men lead lives of quiet desperation." 2. "Go confidently in the direction of your dreams. Live the life you've imagined." 3. "Our life is frittered away by detail....simplify, simplify!" Today and Monday, you will take a quiet, SELF-guided tour through Henry David's Thoreau's "Walden"! ​Enjoy your trip to the woods!! 2. Get a Walden activity packet. 3. Turn to pg. 381. Read EVERYTHING on that page as an introduction. Then read first 2 pages of packet. Also please use the packet as your own READER'S NOTEBOOK to jot down some of Thoreau's aphorisms. As you work your way through reading the text, record thoughtful responses. RL.11-12.1: Cite strong and thorough textual evidence to support analysis of what the text says explicitly as well as inferences drawn from the text. Britain is preparing for war. The British are sending ships and armies to the colonies. colonists have tried to reach peaceful agreements with Britain, but their efforts have failed. He encourages them to fight to be free. 2.View: Who was Patrick Henry? just through 2:07, then 39:48-43:30.
worksheet of Literary Devices and Persuasive Techniques used in the speech. 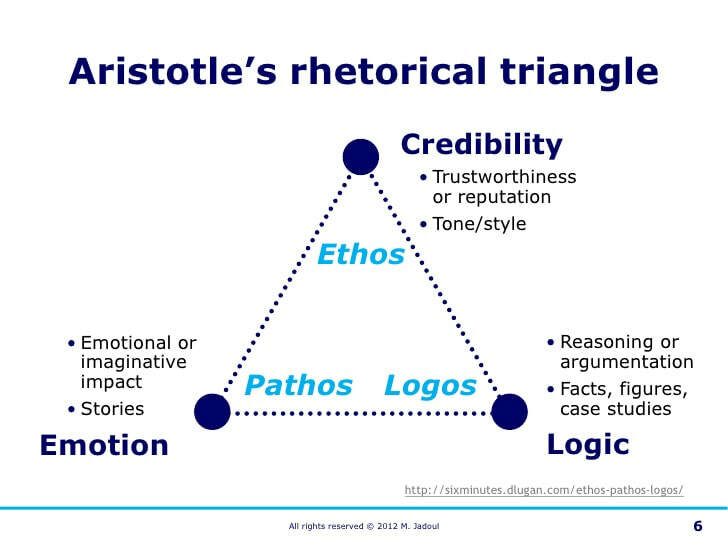 ​What are Ethos, Pathos and Logos? 4. Number the paragraphs in the speech! Do this together so we match up! Common Core focus: Text dependent Questions for "What is an American?" RI.11-12.2 Determine two or more central ideas of a text and analyze their development over the course of the text, including how they interact and build on one another to provide a complex analysis; provide an objective summary of the text. Objective: You are no doubt familiar with the term "melting pot" used to describe America. Today you'll learn about the man and the literary work in which that phrase was first coined! The “melting pot” is one of the strongest images of America’s willingness to welcome and embrace people from many different countries, races, and religions, all hoping to find freedom, new opportunities, and a better way of life. The old "melting pot" metaphor is giving way to new metaphors such as "salad bowl" and "mosaic", mixtures of various ingredients that keep their individual characteristics. Immigrant populations within the United States are not being blended together in one "pot", but rather they are transforming American Society (and South Dakota! )into a truly multicultural mosaic. ​View: "The Great American Melting Pot"
View: Six Americans Project: What does it mean to be an American? Read before viewing: Throughout our nation's history, the United States of America has been described as a "melting pot" of different people, cultures, and ideas. At the same time, we citizens are united under a common flag. Given a country so prominent on the world stage... and one with steep demographic diversity, what factors contribute to an "American identity?" Six Americans is an original, devised theatrical event that incorporates autobiographical material, sketch comedy, poetry, music, dance, and multimedia to explore the question, "What does it mean to be 'American'?" Read the Epistle (Letter) ​together, then fill in the close reading activity. Answer Discussion questions on 3rd page of packet. The tone of Freneau’s “On the Emigration to America and Peopling the Western Country” seems very festive and positive. Is it? Though it seems to be built on the depictions of nature, this poem is a political verse. The poet expressed the Nationalism that was common during the era and that can be found in the works of J.Hector St.John de Crevecoeur and Benjamin Franklin. Review explication and summary of poem. Read the 2017 essay "What is a American?" Discuss 3-2-1 at tables, and share out. 1=main similarity between the 1782 essay and this one from 235 years later. Passion with a purpose. Sartoris' passion will ensure that we'll remember them after they're gone! "The rest of my life will be spent doing something that matters." 2. Carrol Spinney: Big Bird (3:15)--Talk about PASSION for your job! words and phrases in many of these stories: "doing something worthwhile," "making a difference,"
"finding my purpose." EXPLORING is how we discover our passions! Socratic Seminar: Armed with ALL of the background knowledge, let's begin! Add to your notes during discussion! feels the need to add or revise something important to the circle, he/she may do so quickly. Remember the guideines: Refer to the text! Take turns! Use each others' names! Elaborate on others' ideas! Group 1: Compare Native American creation myth to Christianity & Islam and discuss 3 other questions from Sky Tree and Trickster Tale. Group 2: Compare Native American creation myth to Buddhism & Hindu and discuss 3 other questions from Sky Tree and Trickster Tale. If time allows, meet with your evaluator to discuss your performance in the Socratic Seminar. ​Turn in Evaluator Sheets before you go. Collaborate with Socratic Partner for 3-4 minutes. Give each other CONSTRUCTIVE feedback. ​Please give me the Socratic Sem Observation Form. Quickly Review these flashcards for "The World on the Turtle's Back." sought a revival of religious fervor with a movementknown as the Great Awakening. movement failed to revive Puritanism. you too believe you are a good student. You do your homework. You come to class on time. You believe you will be successful, then you hear THIS: Sinners in the Hands of an Angry Principal. which could be subtitled "Hell and How to Avoid it," will stay with you for a long time. Highlight & Mark up the sermon on the handout. Fill the margins with notes! Answer questions. ​respond to the questions, compare the creation stories, and comment on the Trickster Tales. *Note that the teacher is NOT involved in the Socratic Seminar. In this first discussion especially, I will not contribute or participate. I will be observing along with your evaluators. to build an island (the earth) upon Turtle’s back, where Aataentsic and the SkyTree can come to rest. Eventually, the Sky Tree takes root in the new earth. then look at your Christianity/Sky Tree Boxes. Add any information you believe is pertinent. the Tree of Life, the Garden of Eden, Good and Evil are all archetypes in creation stories. a TURTLE is the organizer of the rescue effort. A female turtle. Why do you think the tribe that told this story chose a TURTLE? Why not use a different animal? Be Ready for Socratic Circle Seminar on Tuesday! Tomorrow will be a lab day to work your through all of the activities below. to compare multiple versions of the Creation story, to understand the concept of the "trickster tale." Follow the directions in the packet. and take notes on each creation story on the chart provided in packet, comparing it to "The Sky Tree"
or borrow the laptop of a friend who is taking a dual credit class. comment on how well these 2 Trickster Tales follow the FORMULA outlined in your packet. PSAT Student Guide on your own! PSAT is NEXT WEEK!! Return ACT tests and test booklets. Take time to look through answers. Do the item analysis in score booklet for English & Math tests.